It’s that time of season when we get to know more about our favorite sports teams. We follow the news section and catch up on highlights and watch sports stations about what’s new in the world of sports to get the latest information on a particular player, team or franchise and wonder what would it be like to be able to host a party. What’s Your Favorite Place To Watch TV? Does the basement entice you to be one with your entertainment? It’s game time and where do you usually like to watch TV in your house? These are the questions to ask yourself when surveying the area for good sports to host your own home theater sports palace. Most of us like to watch TV in the attic space. There has been many furnished attics with plenty of good spacing for theater entertainment. Some the most amazing theater rooms ever seen is in the attic. If your looking to have a theater room build in a garage as well that could be a wonderful opportunity to develop. This really comes down to where it’s most comfortable to you and the family for premium entertainment. Most people love to use the whole area to build out the theater, It’s recommended to make use one quarter of the room at a time this will give plenty of room to build and use more creative opportunities in your room for other festive things to do while enjoying the main attraction. 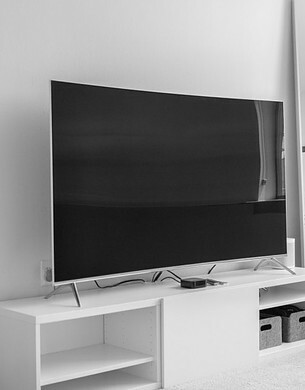 We would have to take into consideration what’s more than likely the choice of making loud sounds with these flat screens and surround sounds which could make things worst for your home. Instead try finding an area with less living quarters and more space to use for entertainment. That’s why it’s best to choose the garage or attic and basement. Unless your family has no problem with a whole living room setup with more than enough space to keep the family satisfied with other activities while you enjoy the movie. It’s about building your time spot to get lost in. Sometimes we must find a way to get away from the busy life and overwhelming problems and stress life hands us. Why not try finding that place in your own home without the extra drama from a certain someone or transfer your room into a cave for fun and enjoyment for the whole family. Do you passion an air hockey table set with a dart board and a poker table across from it? these are questions to ask when filling out the theater space for friends and love ones for a great night out at your house. Many of us like to use more lighting to help enhance the features you have in the room. The wonders you could use with lighting let’s count the ways by listing them here. 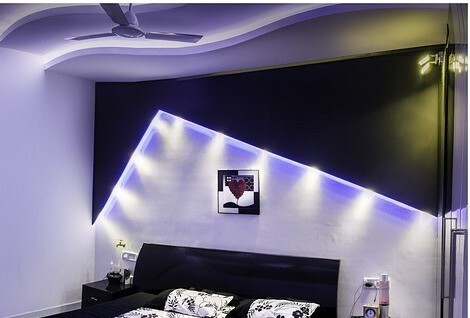 Illumination LED lighting: It’s not only meant for flat screens it could really make an ordinary table, chair or wall fixture look like the highlight of the house with a few strings and lot of creative thinking. Liquor Bottle Lighting: One of the best ways to save money and recycle the planet in ways you have never seen. It’s taking an old bottle that has aged in use it as a center piece for the theater action or maybe set up you mini bar for better ideas with theme lighting tactics. Motion detection lighting: Let’s say you want to walk into a room and have the lights automatically light up, how about have the lighting dem in certain areas while you enjoy more the movie in complete darkness. It’s quite easy to set up if your more of the DIY type of person that enjoys great crafty work. But know in mind this one to really enjoy and make your friends envy you. This is the most important part of the article to know more about. Just based off of many people who value these wonderful options to have in a man cave is vital to creating a room full of great entertainment. But let’s get a fine understanding to know why does it have to be these three to know more about. Screening/ Flat screens: The best part of the theater set is enjoying watching a good movie on these big giant screens with so much color and action sequence. You have most of the theater set ready for action when this is up and running. Mini Bar w/ Dining Table: There is nothing like relaxing at the bar with a nice drink watching a live event or a sport game going on in your own room. Or maybe you would like to entertain your guest with a feast for plenty and have it all displayed in the middle of the room. With a great large table that fits a small gathering of people? This is something you can really play around with for options and ideas. Video Games/Arcade machines: Tired of watching boring commercials and waiting for the game to come back on? Classic arcade machines will help the time pass by and turn back the clock to the memories, which is a great way to keep the guest entertained. From Pacman to dungeon and dragons to Dance revolution and billiards. You will have the party rocking and people will truly appreciate the memories. What Benifits Can You Get from a Man Cave? Peace of mind for starters. It’s about getting that part of your life back by injecting some fun back into it. We all know more that all work and no play makes us go crazy. We need to escape into a world where fun, peace, relaxation, can release and relieve some the worst parts of us to refresh our bodies and mind with good positive spirits. It’s about the quality time you spend with family that makes the difference. Maybe you haven’t had time to catch up with old friends that you have not seen in the longest time. This is the perfect way to get in touch with them and forget about going out. Stay indoors and have some fun for a while at home with an impressive room that has some best features you always wanted. Forget about going to the theater, and the bars can get too rowdy and crowded. Why don’t you bring the best parts of them both home in the style you need it to be the most. Think about it, you get to avoid the hustle and busy streets and just set up whole thing in your own backward or basement which ever you like it. Just when you though it was no other way to know more more about developing a man cave with home theater features,there is always more to experience which is amazing to know more and share with others that has the same aspirations for a fantastic home theater set. Imagine your sitting in a whirling sofa seat that spins to your command while your watch TV on a ceiling display and listening to you favorite tunes from the head rest. These are some things we could develop if your willing to think out outside the box and creatively brainstorm some best ideas you have never thought of.To help you get a better perspective on things here is some the best options to use for developing a man cave to enjoy and cherish. Karaoke Night: One of the best ways to get the most out of your room. You could entertain the guest or let your guest entertain you while the whole room is lit up with high spirits and laughter. Plus everyone loves to sing along to a good song even if you have trouble finding the words. Sports tournaments: It’s on, the old scores have to be settled. Bets are placed and you have to make a room that has the most competitive environment for the friends, family or just you verse online players. Which ever way you make this setup happen it’s a good option to have for premium Sports entertainment. Dance Floor Setting: Many of us love to Bust a move when our favorite tune comes on, does it make sense make a part of it in your room for great fun at the house? This could open up more options for the kids to enjoy for dancing and practice ballet. Maybe you would like to take up ballroom dancing have the room space and partner to enjoy it with. Host a Party at the House: Graduation, Weddings, Family reunions and more. You could make a good profit off of this opportunity and have the best time of your life using simple techniques to help make this one the best places to remember. What do you consider Ideal to a great man cave theater? These are some good ideas but we would like to know more what do you think what would be an amazing theater that happens to be a man cave? Please give us your take on this topic by commenting below this article. We value your opinions and questions.